Geely's MPV Concept is a sleek people mover rather than a boxy minivan. China's scrapping of its one-child per family policy has created an unexpected increase in minivan sales. "It's all due to the government abandoning the one-child per family rule," said Peter Horbury, a former top designer at Ford Motor and Volvo who now leads the design direction of the Geely, Volvo and Lynk & Co brands. Horbury moved to Shanghai four years ago to create a new design department for Geely Auto Group that now employs 200 people in China and another 300 in Europe and the U.S.
China was a market historically dominated by sedans, often with a long wheelbase, because this allowed families to have the father in the driving seat, the mother on the front passenger seat and grandparents in the rear seats where the long wheelbase meant more legroom. The family’s single child occupied the middle of the rear seats. With families now able to have two children, sedans are not big enough for the larger families and SUVs and crossovers are not universally loved. “Not all Chinese customers like the rough design and higher ground clearance of SUVs," Horbury said. The hot growth now is for high-specification, premium-like large minivans, built in China by Chinese automakers. These are better specified than current passenger versions of large vans. "These new minivans have two armchairs in the central row of seats, as Chinese have a strong sense of the family and a high respect for their parents, who should always have the best seats in the car, while the third row is for the children," Horbury said. 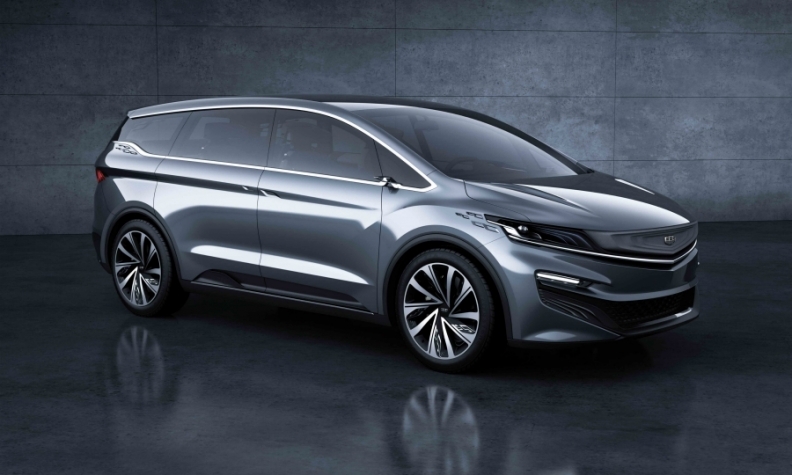 To strengthen his point, Horbury unveiled the Geely MPV Concept at the Shanghai auto show last week. The vehicle is a production-ready concept for a large and luxurious minivan that will go on sale next year. It will be sold at a “surprisingly competitive price because we aim to deliver refined cars for everyone," Horbury said. Design-wise, Horbury said the concept moves minivans away from being a “box on wheels” to become a vehicle that is “refined, dynamic and user oriented." Looking at the sleek, stylish concept, Horbury seems to have delivered.